Allis Chalmers produced a very popular line of circuit breakers with model numbers that all started with “LA”. Like other manufacturers’, this product line was produced with various engineering changes and upgrades over the years. In order to ensure that the breaker you order will fit correctly in your application there are some guidelines that you need to follow. The 25, 50, 75 and 100 reflect the interrupting capacity of the breakers of 25,000, 50,000, 75,000 and 100,000 amps. The original “LA” series breaker is common in 600, 1600 and 3000 amp frame sizes, 4000 amp frames are fairly rare. LA-15 (15A), LA-25 (25A), LA 50 (50A) in 225, 600 and 1600 amp frames. They are offered as both manually and electrically operated breakers. 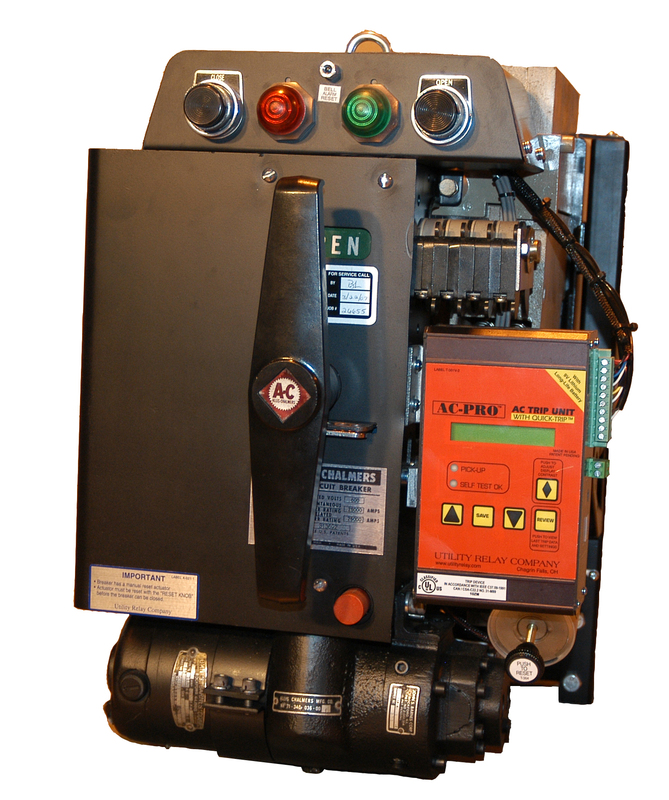 Earlier versions of the electrically operated breakers had a solenoid operated mechanism, later versions had a hydraulic mechanism. There was a small production run of LA-50 (50A) breakers that had 12 backstabs in lieu of 6. Care must be taken while retrofitting LA-50 1600 amp breakers. 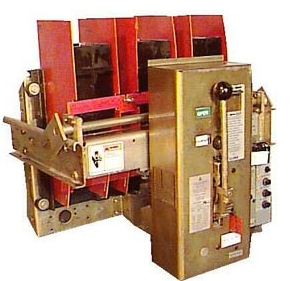 A number of breakers were produced with 3 individual solenoids on each phase that acted as trip units and were driven by current transformers mounted in the cell and then fed to the breaker through a secondary disconnect. If present, the buss mounted current transformers must either be removed or have the secondary terminals shorted out to prevent a fire caused by the open current transformer secondary. LA-75 (75A) and LA-100 (100A) - these 3000 and 4000 amp frame sizes are commonly supplied as electrically operated but some manually operated breakers exist as well and a few that have both options. The LA-100 was a short production run breaker that is very hard to find. In the 3000 amp vintage, several vintages of internal parts were produced that require experience to identify for proper interchangeability. The second series of “LA” breakers was produced in 600, 1600, 3000 and 4000 amp frame sizes. Their model numbers start with “LA” like their predecessor, but follow the frame sizes LA-600, LA -1600, LA-3000 and LA-4000. 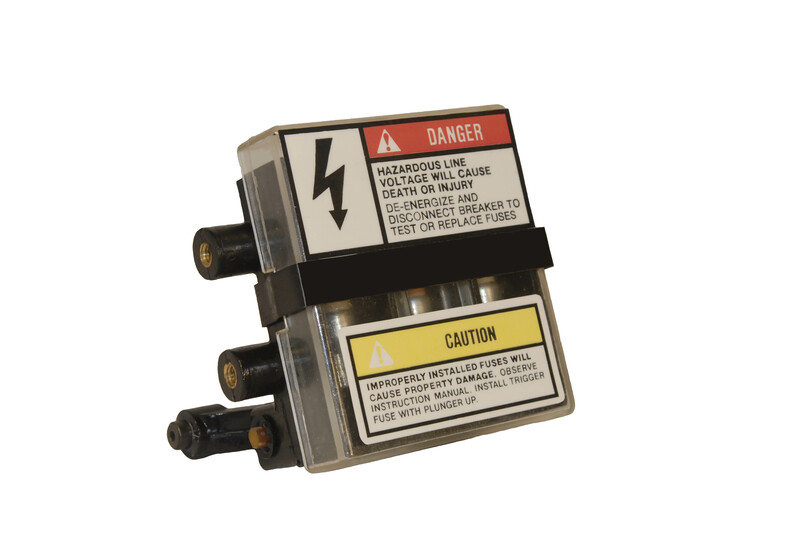 This series was offered as both manually operated and electrically operated and included an option for integral fuses to raise the interrupting capacity to 200,000 amps.This option adds an “F” to the end of the model number as in LA-600F, LA-1600F. The 3000 and 4000 amp versions do not have that option.These breakers feature spring charged mechanisms and a closed door draw out design for safety. 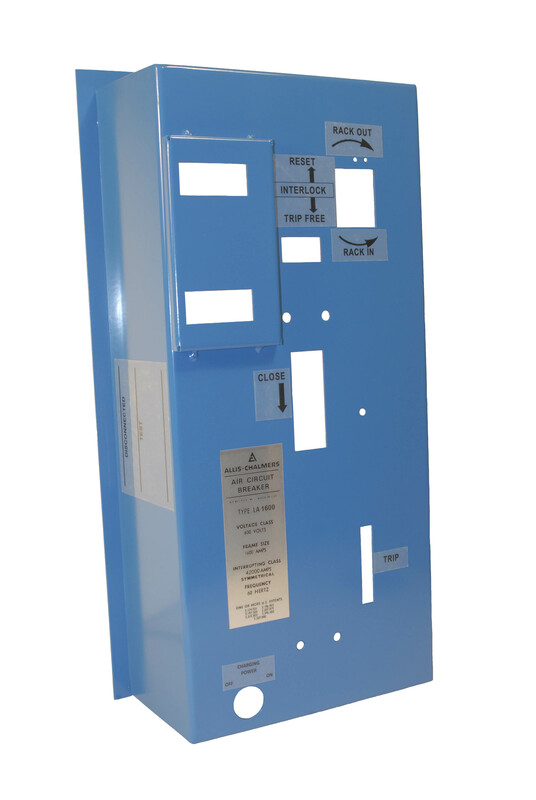 The first series, commonly known in the industry as “blue faced breakers” are identified by both the blue-grey plastic faceplates/mechanism covers and also by the fact that they do not have a letter designation (A, B or C) at the end of the model number. Improvements to the design revolved mostly around parts upgrades, the most noticeable of which are the mechanism covers with the yellow zinc plating which replace the plastic covers that had a history of breaking and earned the nickname of, “gold faced”. The newer vintage also included a new 800 amp frame size, for example the LA-800A. The fused breaker model numbers moved the “F” from the end of the model number to beginning as in LAF-600A, LAF-800B, etc. The most noticeable change in the “B” line-up are the black plastic, non-asbestos arc chutes. Interchangeability between the two product lines is limited to the larger frames for example, LA-75 through LA-3200A are interchangeable. Although the LA-25 and the LA-50 are not, the factory did make a retro-fill breaker for the 600 and 1600 amp frames. However, they did not provide an indication on the nameplate/model number for these retro-fills. 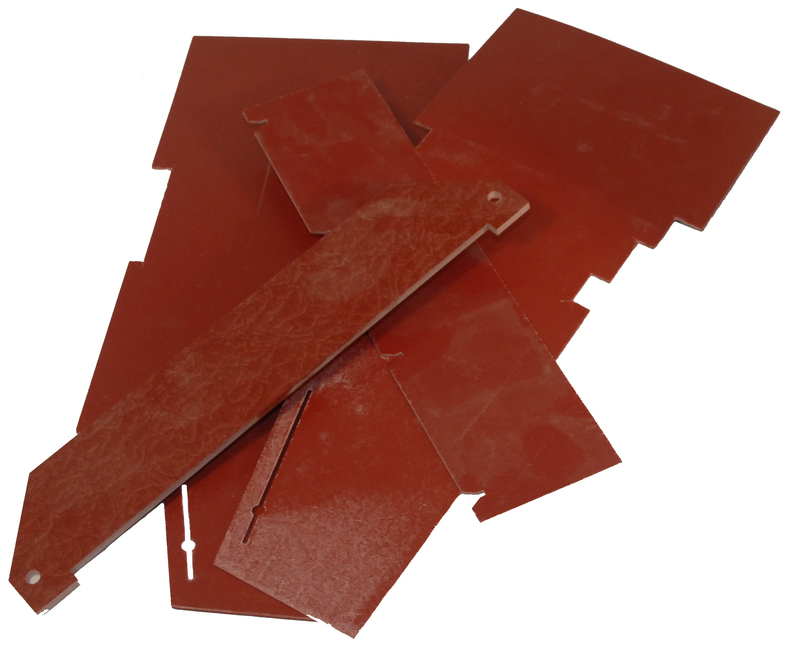 The sales team at NPE has that experienced eye for these issues as well as plenty of others. All of these changes and upgrades and interchangeability issues can be very confusing when you just want to get a breaker or a part to restore or maintain service and keep productions up and running. That’s what we are here for. The NPE team has decades of experience dealing with these issues and will recommend the right part or breaker, at the right price and most importantly have it ready for you right now! Reconditioned breakers, parts, and an increasing line of new and improved aftermarket parts are here to be the solution to your switchgear saga. So, contact us and we’ll take care of the rest.